FFA - Media Matters reports that it has influenced Viking Cruises to stop advertising on the Sean Hannity Show. The email for this article was deactivated after Viking Cruises started advertising again. Sean Hannity is a true American patriot. Hannity has reported important news that no other cable news host has produced. He has relentlessly stood for traditional Judeo Christian values. Sean Hannity routinely gives honor to our military leaders, fallen heroes and military families in need. Florida Family Association has prepared an email for you to send to urge Viking Cruises' officials to reinstate its advertising with Sean Hannity. 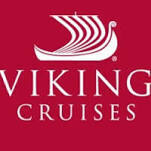 Viking River Cruises and Viking Ocean Cruises.